The National Wax Museum re-opened in 2009 and displays many famous people. Some of the figures displayed include athletes, Gollum from Lord Of The Rings, and re-created scenes from popular movies. These include Crocodile Dundee, Jack & The Beanstalk, as well as scenes from Teenage Mutant Ninja Turtles. ● The Wax factor Recording Studio. ● The Grand Hall Of Fame. 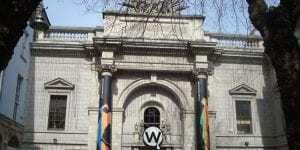 Located near Trinity College, the museum is served by all public transport options: Luas, Dart and Dublin Bus. Fortunately, it’s located in a very accessible area. A newly added feature to The Children’s World is The Puppet Theatre, to keep the little ones amused. The Puppet Theatre unfolds the stories and adventures of Waxworks Wizard Olan and the frightening dragon Warble. Kids will love this adventurous tale – and it also gives parents the opportunity to take a little break from running around. This a great day out for the whole family as there is something for everyone at The Dublin Wax Museum. The Museum is open Monday-Sunday, 10am-7pm. For more information on opening times, admission fee’s, seasonal timetables and how to get there please visit The National Wax Museum website. The Museum is just a 20 minute drive from the Clayton Hotel Cardiff Lane. 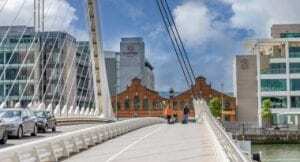 Book a modern hotel for your visit to the Irish capital, and stay in a city centre location. 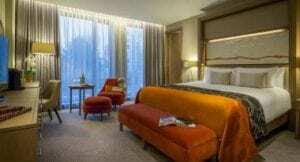 Reserve your stay at Clayton Hotel Cardiff Lane today.